Enjoy Wyalusing State Park with your pet. Dogs and other pets can enjoy being outdoors with their owners without bolting down park trails or running across park roads. 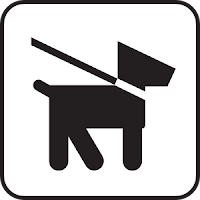 Walking a dog on a leash is wonderful exercise, shows consideration toward other park users and is just as much fun for the pet, especially if that's what they're used to. Letting your pet off its leash just because you want it to “run around” is risky. Unleashed pets can become lost, hit by a car, bitten by wild animals, or even stolen. You may not be able to catch it when it's unrestrained. Your pet may not always be another person's best friend. Your dog may frighten a nearby toddler or be a distraction to a visitor who seeks to enjoy nature and wildlife at a park. Pets are unpredictable. Other dogs, passers-by and wildlife may aggravate or startle the most docile, well-behaved dog and cause confrontation. Being approached by a running, barking dog may frighten toddlers and adults alike. The barking dog may cause the adult to turn away and into traffic. 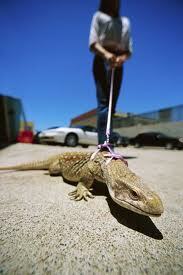 Many hazards exist for pets not on a leash. Regulations have been established for the enjoyment and safety of park visitors and for the safety of your pet. In addition to being fined and evicted from the park, owners who let their pets roam unleashed are liable for damages. Traffic on park roads makes it likely for an unleashed dog to be hit by a car. Picnic areas and picnic shelters. Beaches, except the designated "dogs allowed" beaches listed above. Cross-country ski trails when groomed for skiing. Always check at the park office. Pet owners are responsible for proper removal and disposal of their pets' waste products. Waste should be disposed of in dumpsters or trash receptacles. It's just not fun enjoying the park or the trails when having to dodge around pet waste. Responsible pet owners and their pets are welcome in Wisconsin State Parks. There are a few simple rules to ensure that you, your pet, and other visitors will enjoy the park. These rules apply to all pets except service animals helping people with disabilities.